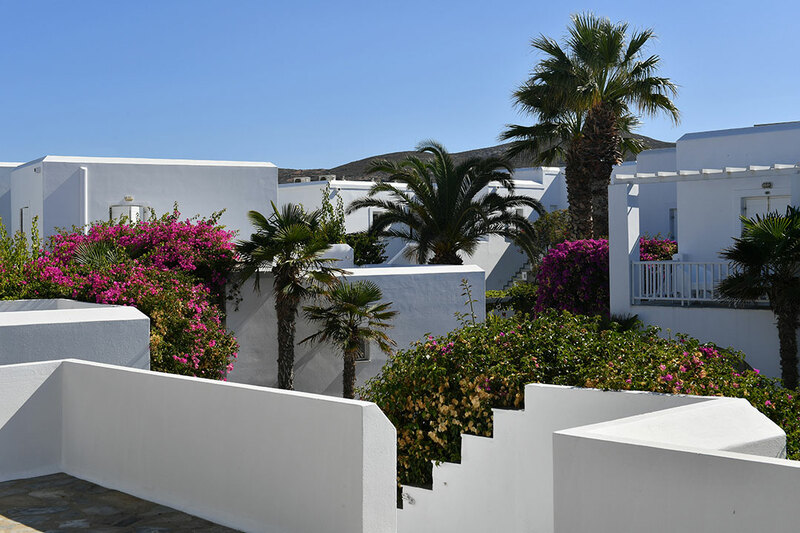 Astir of Paros welcomes you to the bewitching, beautiful and captivating island of Paros, truly a paradise in the middle of the Aegean in which the sun, sea and earth blend harmoniously with the unique architecture. 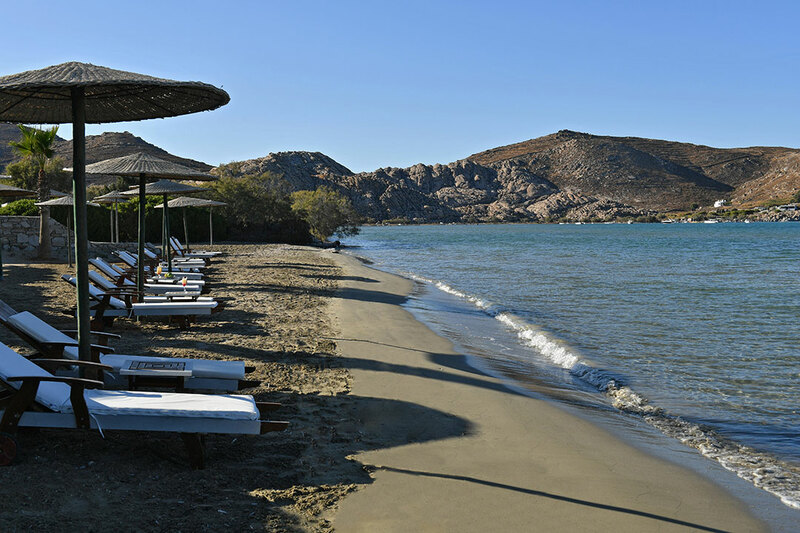 Nestled amid spectacular tropical gardens, the hotel located at the famous Kolymbithres bay, is blessed with private sandy beach. 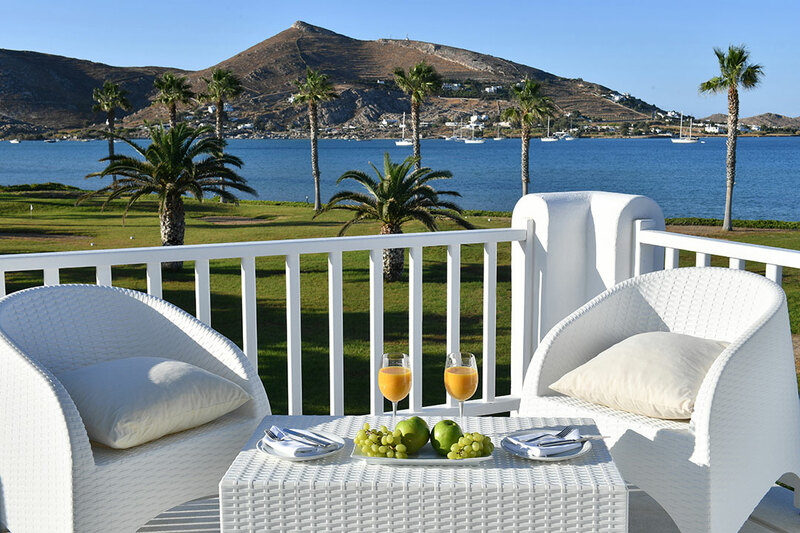 Built in the unique architectural style of the Cycladic islands, its exquisitely decorated rooms and suites, all with balcony or terraces, face the deep blue Aegean. 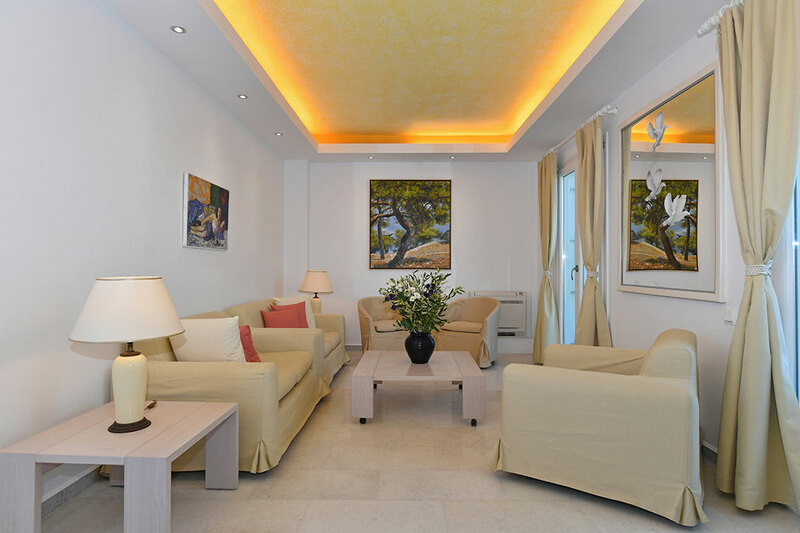 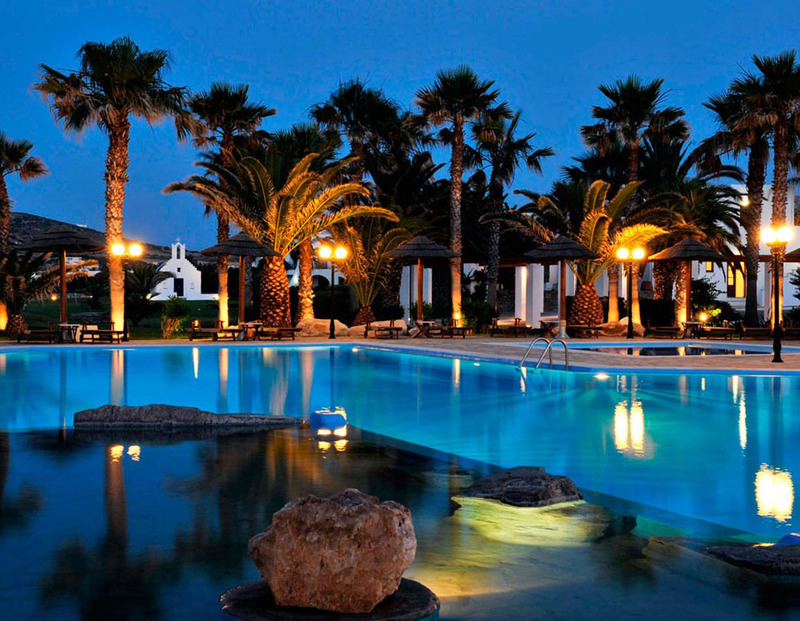 Astir of Paros is a luxury holiday resort consisting of 4 executive suites, 42 junior suites and 11 double rooms. 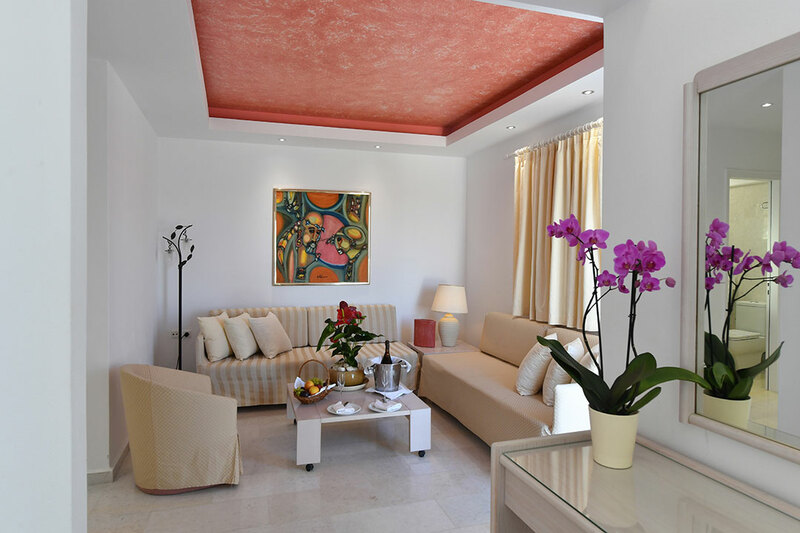 - Exquisitely decored and equipped with all modern comfort, the rooms and suites have a luxury bathroom done in the famous Parian marble. 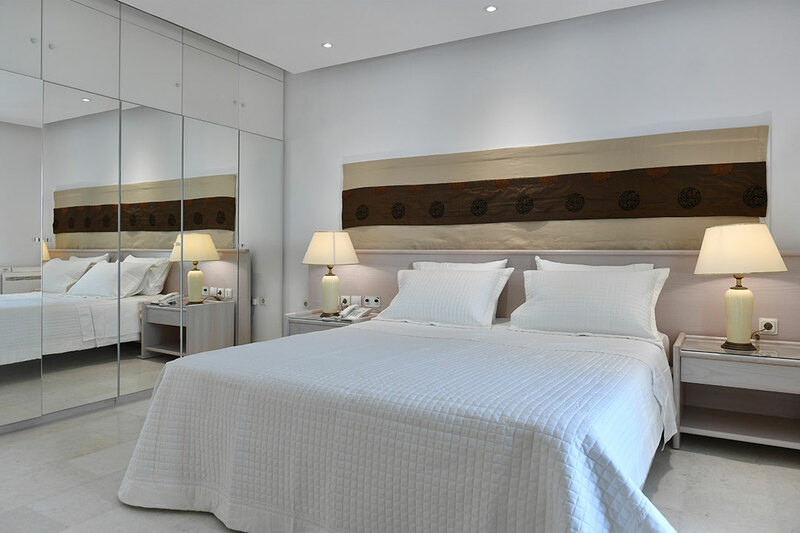 Rates per room/suite per night, based on single/double occupancy, inclusive American buffet breakfast and all taxes. 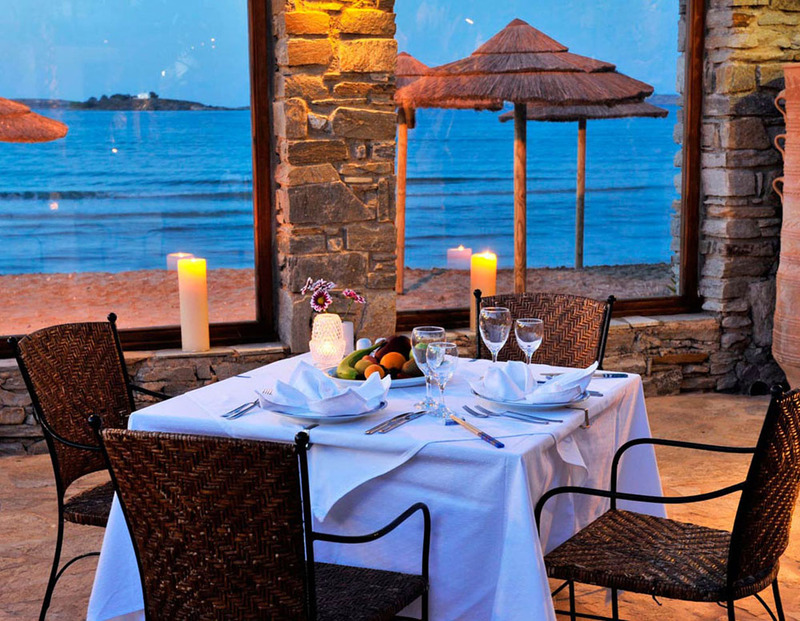 Poseidon Restaurant : Gourmet Greek and Mediterranean cuisine. 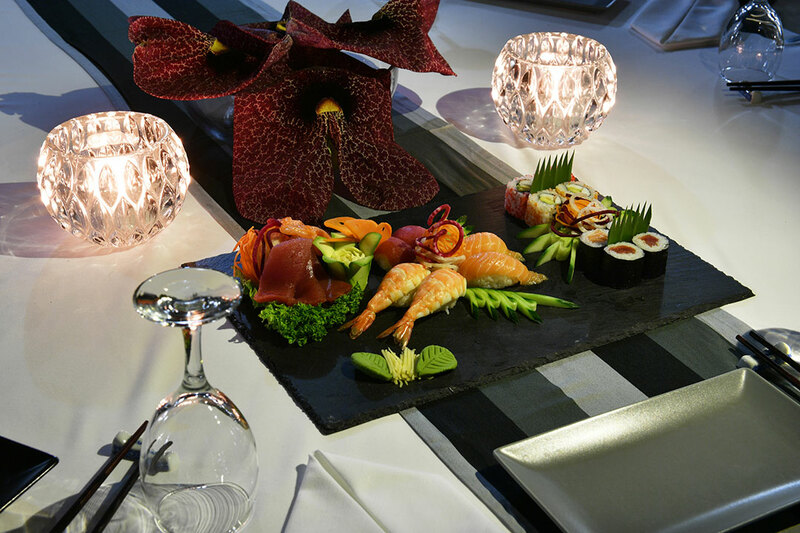 Aelos Restaurant : Chinese restaurant and sushi bar. 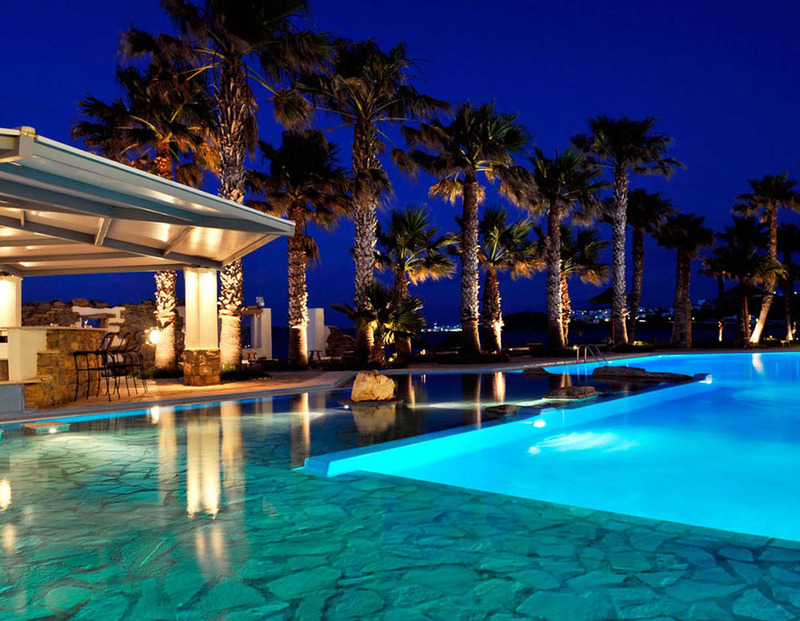 Nireus : Pavilion pool bar. 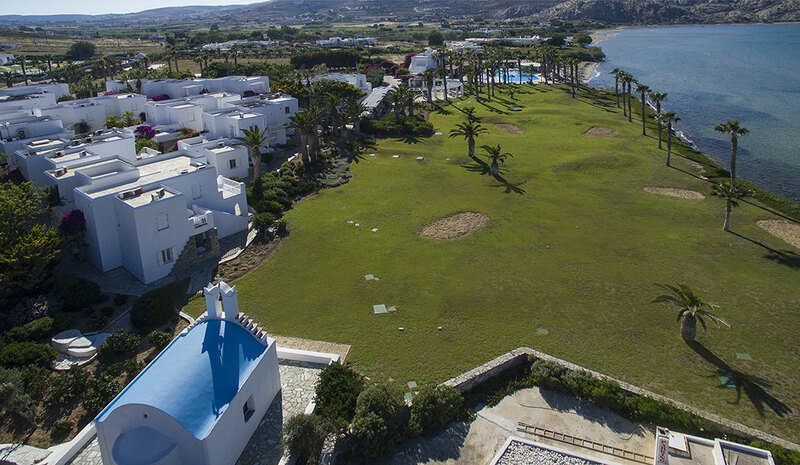 Amphitriti : Main bar with magnificient terrace overlooking the golf course	and the Aegean Sea. 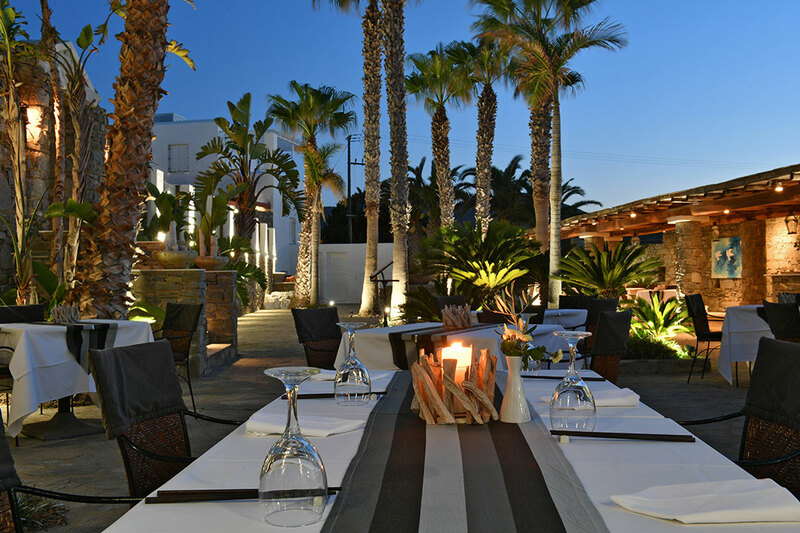 The Astir of Paros is a leading 5 star resort and conference hotel in Paros Island considered by many as one of the most unique meeting venues in all of the Cyclades. 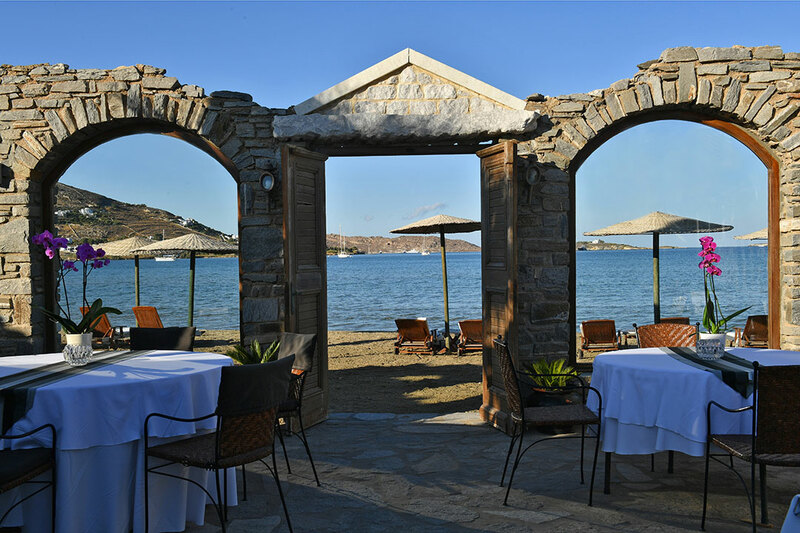 This well-appointed conference hall near Kolymbithres beach in the enchanting island of Paros in Greece offers outstanding business facilities as well as state of the art meeting & conference facilities for corporate conferences and other events held in Paros. 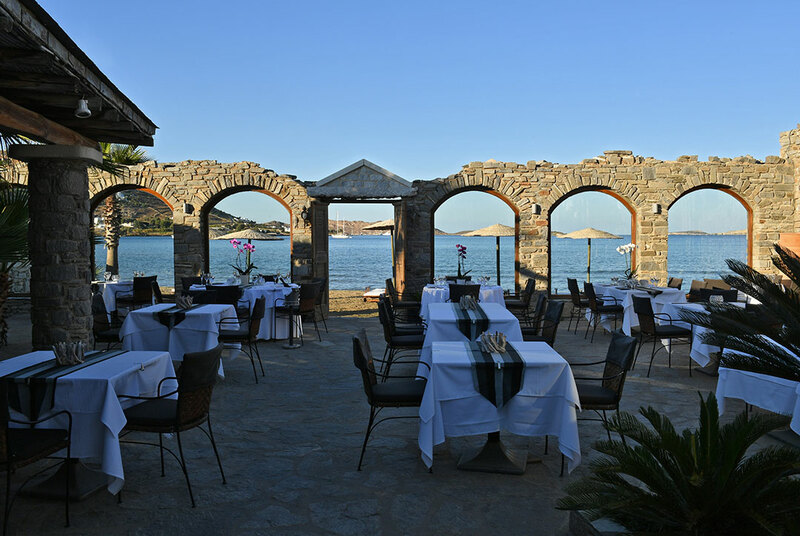 Surrounded by the lush landscaping and the glistening waters of the Aegean this 5 star hotel resort in Greece specializes in pairing its impeccable service with one of the most ideal meeting venues in Paros Island. 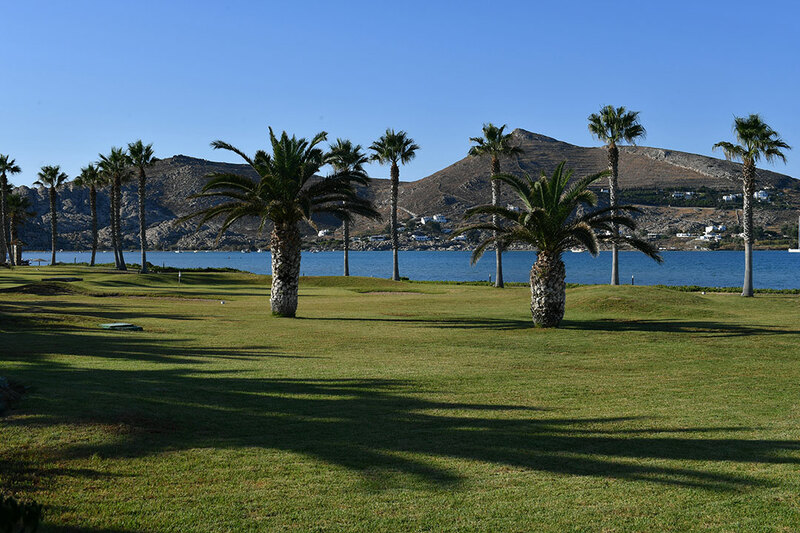 The Venus conference hall situated within the premises of the resort is fitted with advanced business facilities such as overhead and slide projectors, VHS video player and tape recorder, PA system, flip charts, screen and podium. 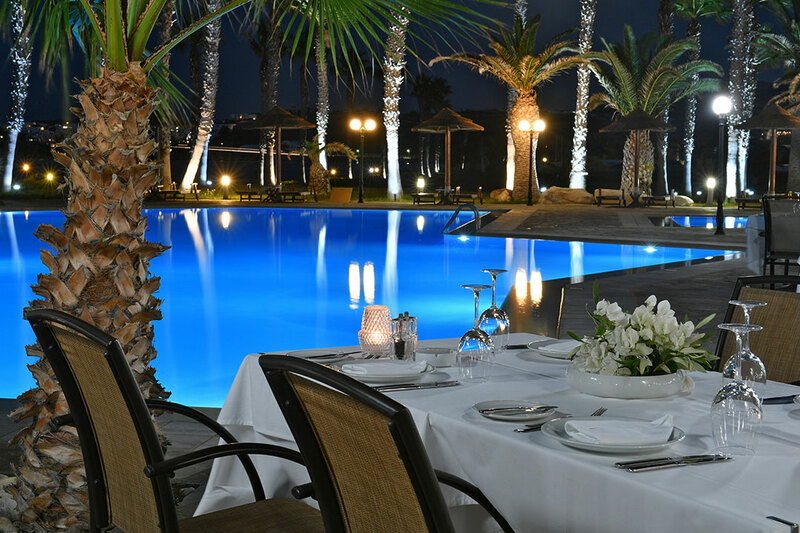 With a sitting capacity of 130 delegates the conference hall can host from a small board meeting to large corporate conferences.